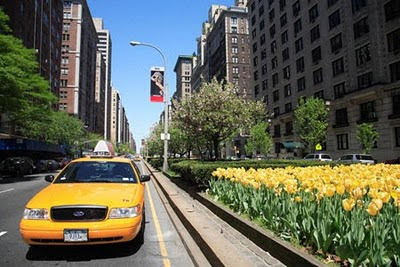 Taxis in some of the world’s cities can be as iconic as famous landmarks. London’s cab drivers are perhaps the best in the world. They undertake a rigorous test and must know the massive city’s roads and ancient alleys well. But this comes at a price. A ride in a London taxis is among the most expensive in the world. 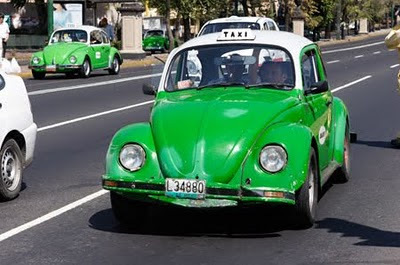 More eco friendly vehicles are slowly replacing Mexico City’s green Volkswagen Beatle taxis. New York City’s yellow cabs are always in abundance except when it rains, during rush hour and on New Year’s Eve. 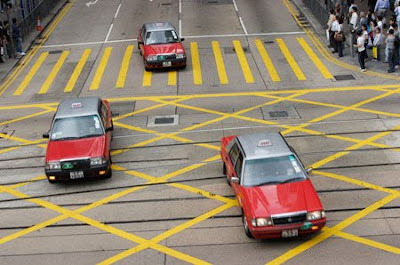 I love the red color of Hong Kong’s taxis and how the driver presses a lever to automatically open the doors before you step in. 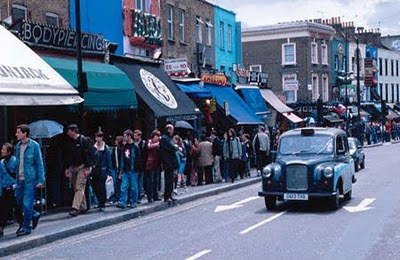 Where have you taken a ride in a taxi that could be considered iconic? I'll always remember by London black cab ride. I actually left a handmade, pink top hat I had bought at Camden Market in it. I traveled all the way to the main offices to search the lost and found but nothing. Tuk tuks (auto rickshaws) in India are the most iconic taxis I've ever taken! Hmmm...London were the first that came to mine. I'll go with Alpana and say India taxis are fairly iconic and memorable as well. Your blog is fabulous. 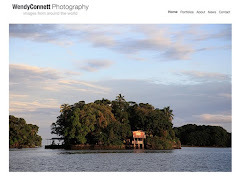 I especially love your "from around the world" series. Great job. Jen, I'm not surprised. London taxis are so iconic. Fly Girl, Ouch on leaving the hat. Alpana and Anil, I'm going to India later this year and can't wait to travel in auto rickshaws. Photo Cache, Thank you so much for your kind words. Anne, I must get to Bangkok.